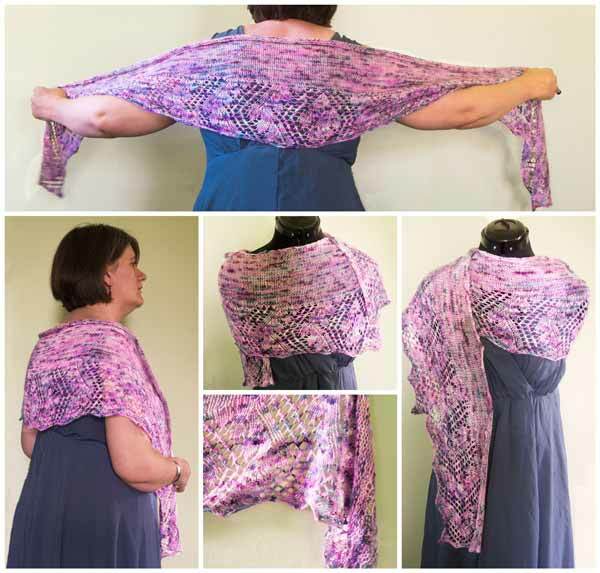 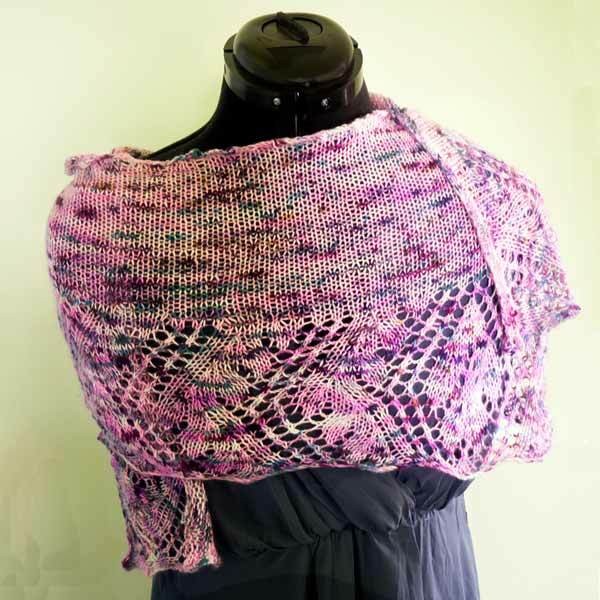 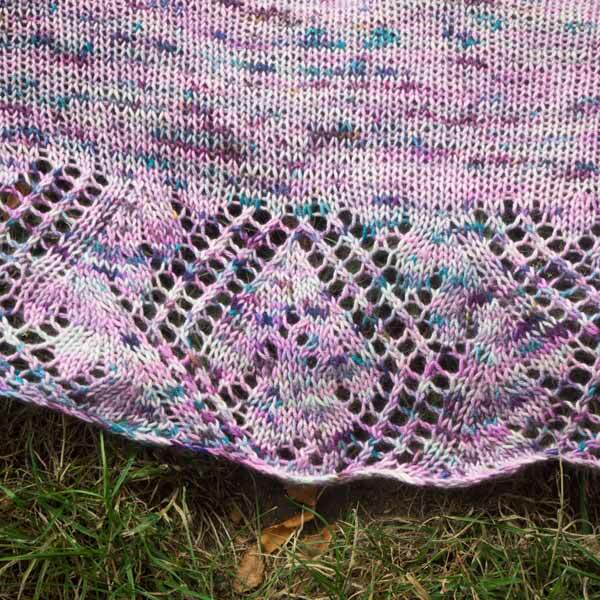 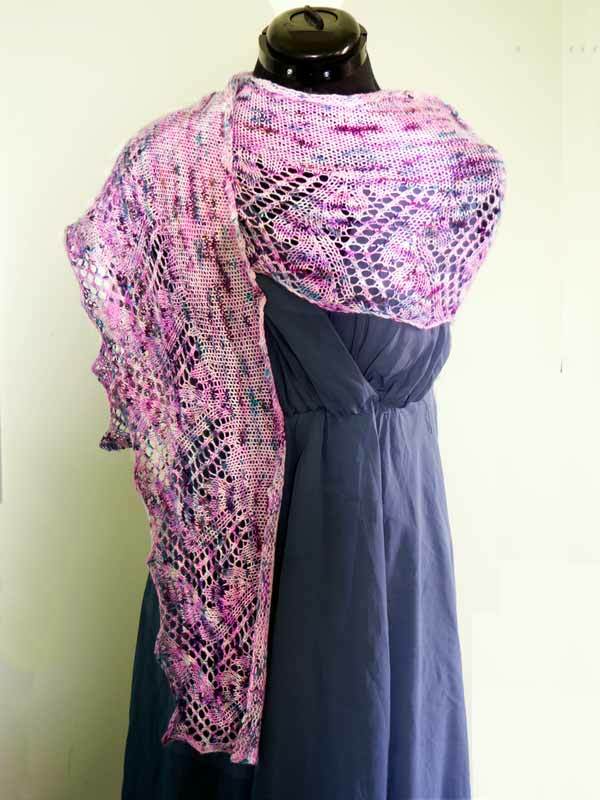 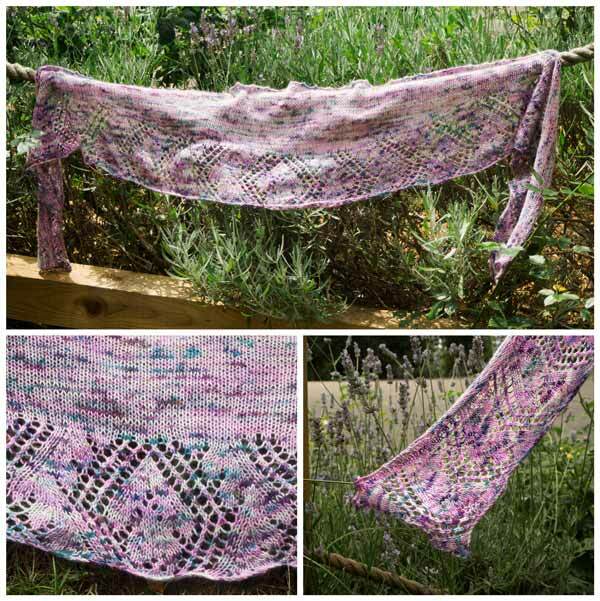 Designed by Bronagh Miskelly, this shawl uses 2 skeins Leggero Yarn. Seen here in Nebula. 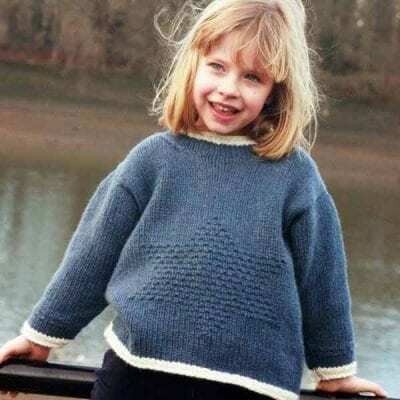 It has the softness of cashmere and the drape of silk. 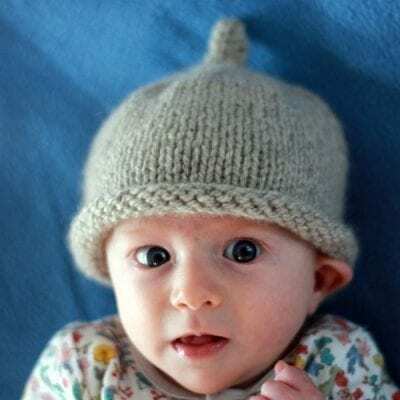 It's unbelievably soft and also very long - 215m per 50g skein. 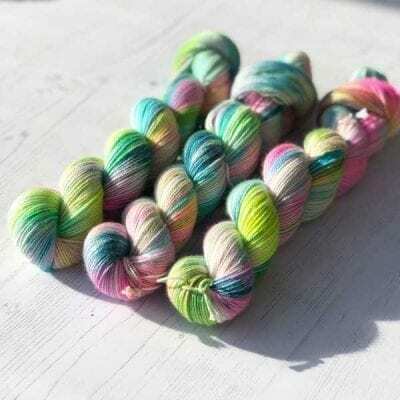 I have recently reduced the cost from £25 to £20 because I am dyeing it myself now. For more details see below. 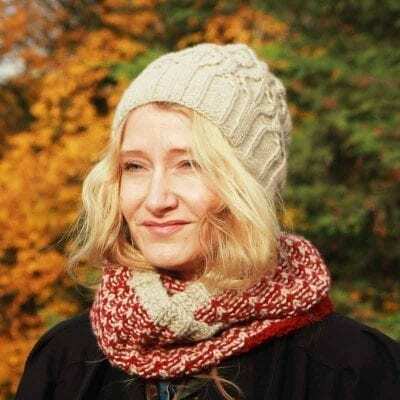 Bronagh says “The lace section of this wrap is actually based on the Shetland Print of the Wave patterns, but in a soft draping yarn like this one the stitches suggest spring flowers to me so I have adapted things slightly to emphasise that.